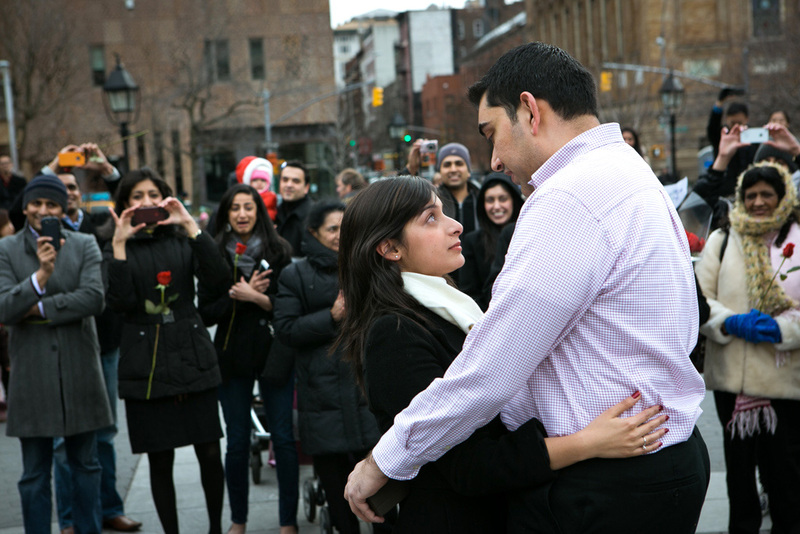 How to Propose with a Flash Mob? 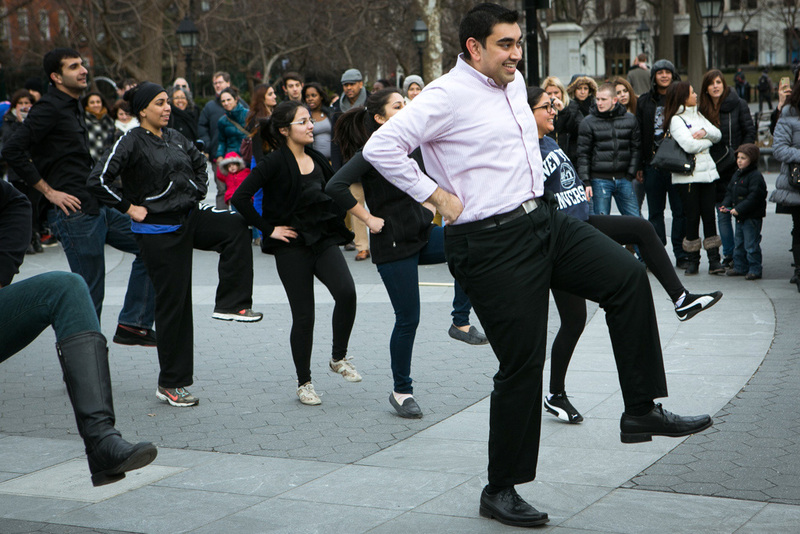 Nothing can cheer you up on a lousy day like a good old flash mob. 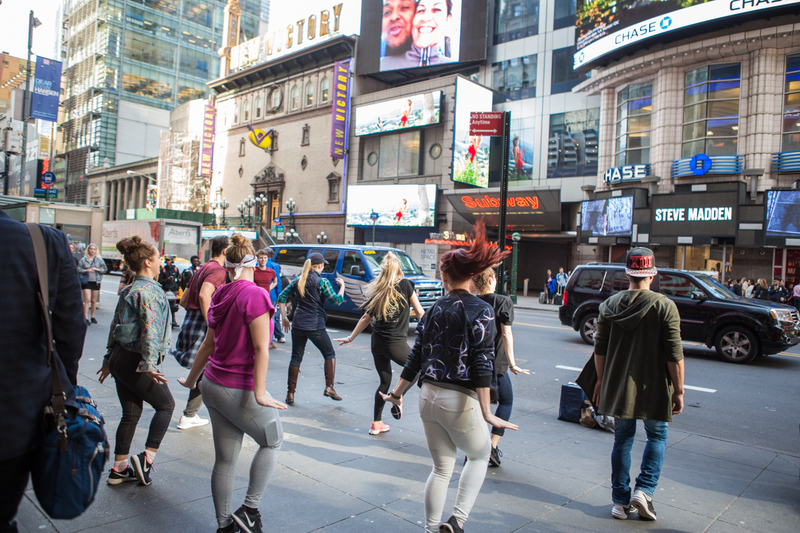 A group of people gathers in a crowd of unassuming onlookers and without warning breaks out in dance, freezes, or engages in some other out of the ordinary activity. It’s surprising, it’s bizarre, and it’s just downright awesome. 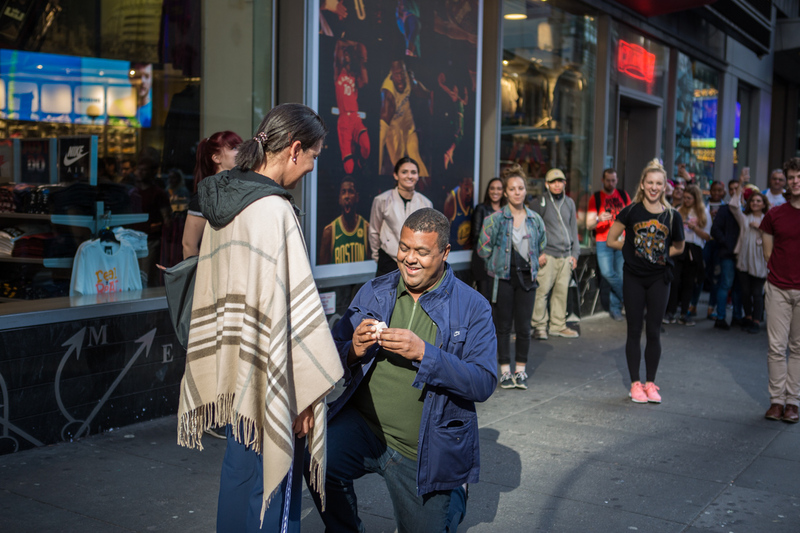 You can easily incorporate flash mob into a marriage proposal. That would be surprising and you definitely caught your partner by suprise. First of all you need to decide where do you want to do it? Pretty often Times Square is the first plave in mind, but i personally would not recommend it. 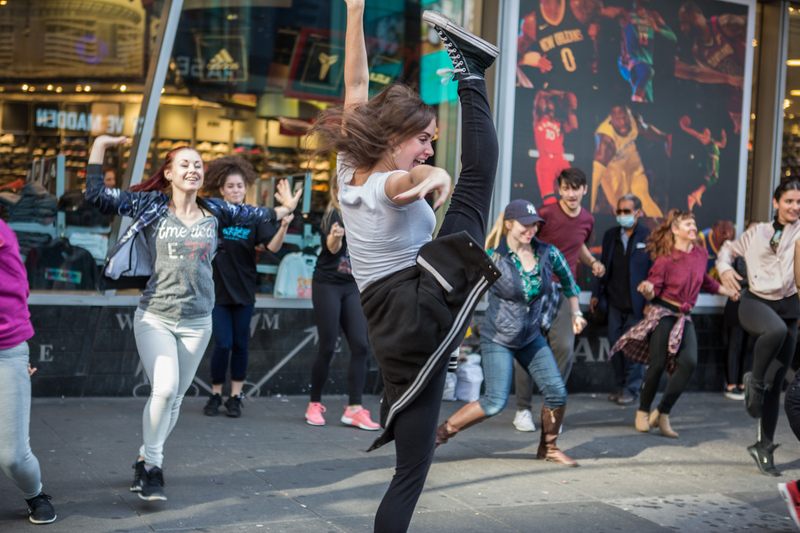 There are too many people there and the dancers cant really be that free, also people are gathers around the dancers and it might be hard for a couple actually to enjoy or even see whats going on. Central Park will be much better option, just because there is more space there and you can choose different places for the dancers to perfom. It can be Bethesda fountain area, cherry hill area, Bow bridge or the Belverdere castle. Washington Square Park is another wonderful option. This park has a beautiful arch and it looks amazing on the pictures. Also the new pier 17 might be your go to place. The pier has the elevated park, so you can propose with the great view to the Brooklyn Bridge. You can chose two songs of your choice for the dancers to learn. It can be any songs, but of course it should be meaningful for you two. You can actually participate in the dance yourself or even incorporate your frends and family. It will be additional cost for the lesson, but if you want to do something big, this is a great option. You can add perosnalized message or ‘Will you marry me?” spelled on the Tshirts of the dancers, or it could be a banner. The dancers can bring flowers to your partner or show the peronaliaez banner. To capture her surprise, you need a professional photogarpher for that. He might pretend to be a tourist capturing the pictures of the dance group and later came to you and do more close pictures as you will be proposing. 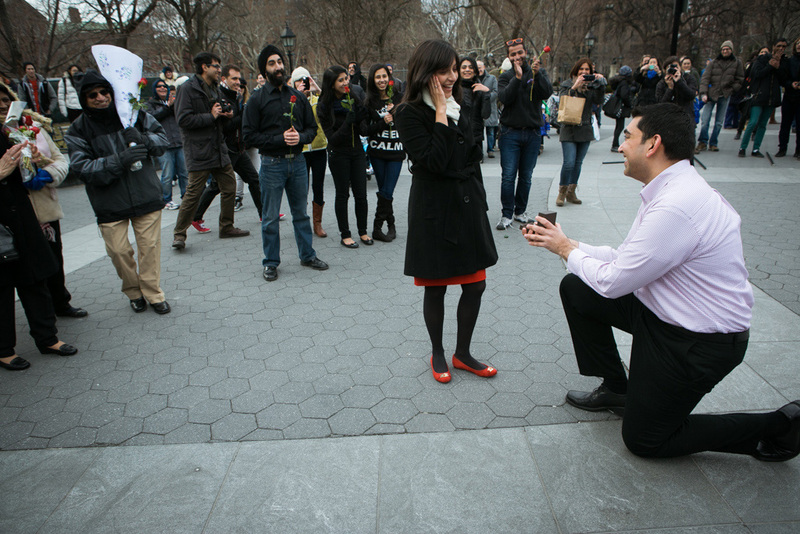 If you are planning a marriage proposal and dont know where to start, feel free to contact us direcly and we will help to plan and organize a perfect, stress free engagement for you two.